The Red Dot 2016A is a digital HF+ VSWR meter. 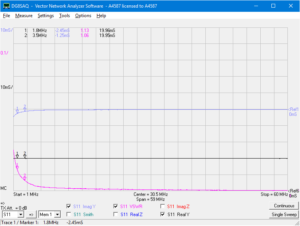 The frequency range is specified as 1.6-60MHz. 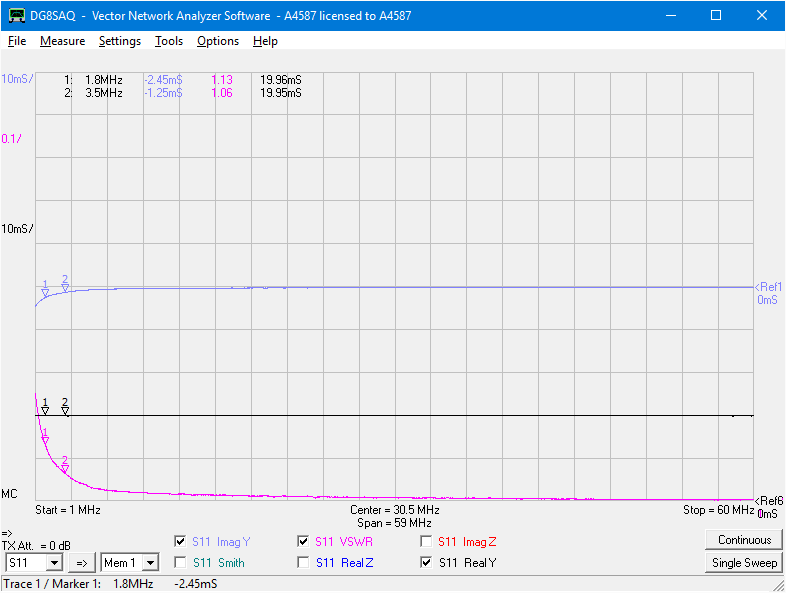 Above is a sweep with a VNA from 1-60MHz. 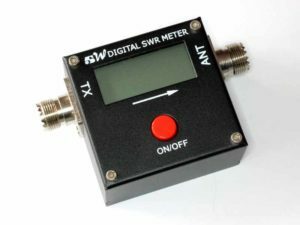 Though it is specified as suitable from 1.6-60MHz, InsertionVSWR is 1.13 at 1.8MHz and it really isn’t good until 3.5MHz. 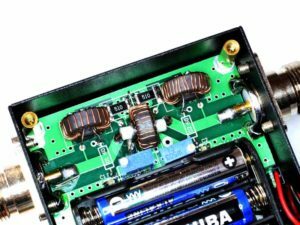 This response does hint one or more magnetic components in shunt with the load, components with too low a magnetising inductance. Above is a view of the coupler. The two transformers nearest the case have 20t primary windings which are connected in shunt with the through line. These are almost certainly th cause of the elevated low frequency InsertionVSWR. At 1.8MHz, Y=0.01996-j0.0245S, and the equivalent parallel components are 50.1Ω resistance || 408Ω inductive reactance (Lp=36.1µH, 72.2µH for each transformer primary). 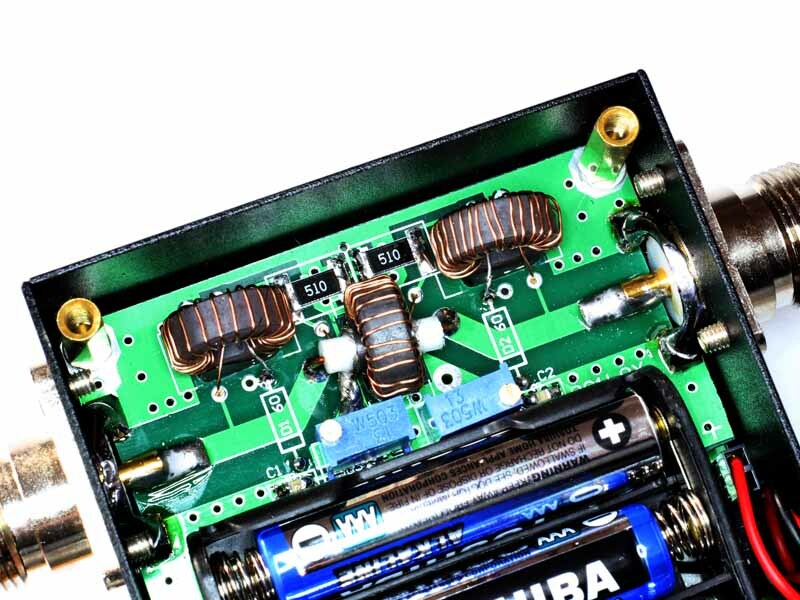 The transformer cores appear to be ferrite (uncoated, sharp corners, very high resistivity), and from the dimensions (14x7x5mm) and inductance probably a mix somewhat like #52 and likely to be Chinese in origin. Sontheimer,C & Frederick,RE. Apr 1966. Broadband directional coupler. US Patent 3,426,298.